When the colony worlds Adirondack and Silvern fell to the Troft forces almost without a struggle. Outnumbered and on the defensive, Earth made a desperate decision. It would attack the aliens not from space, but on the ground with forces the Trofts did not even suspect. Thus were created the Cobras, a guerilla force whose weapons were surgically implanted, invisible to the unsuspecting eye, yet undeniably deadly. The colony world Adirondack and Silvern fell to the Troft forces almost without a struggle. Outnumbered and on the defensive, Earth made a desperate decision. It would attack the aliens not from space, but on the ground - with forces the Trofts did not even suspect. 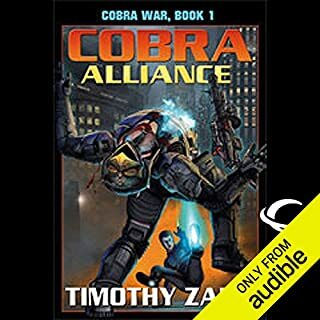 Thus were created the cobras, a guerrilla force whose weapons were surgically implanted, invisible to the unsuspecting eye, yet undeniably deadly. But power brings temptation...and not all the Cobras could be trusted to fight for Earth alone. Only Moreau would learn the uses - and abuses - of his special abilities, and what it truly meant to be a Cobra. 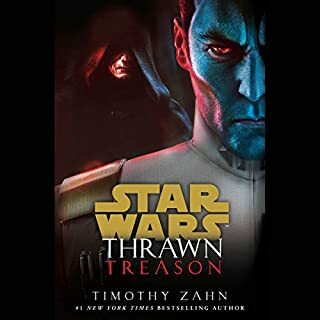 ©1994 Timothy Zahn (P)2009 Audible, Inc. I really didn't expect that the focus of the novel would be a study of human nature. But, that is what it was. The combat segments were fast and furious (that somehow made it more believable), which is much better than those stories that seek to fill 90% of the plot with combat. I'll defintely buy book 2. Genuinely one of my favourite books ever. Every time read (or now listen) to it I like it more! Cannot recommend it enough! 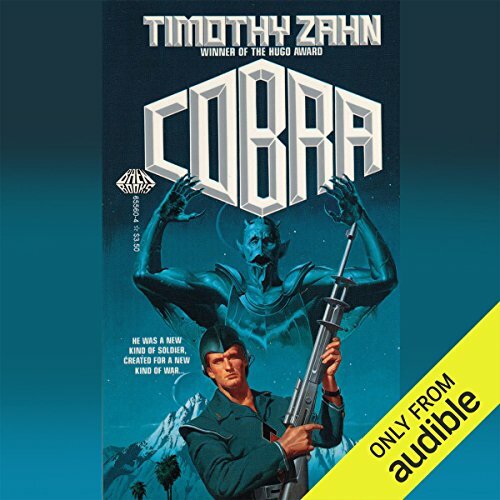 Would you consider the audio edition of Cobra to be better than the print version? The Narrator has a deep resonant voice, and a slight accent. For me, this was excellent, and made the story feel more multicultural than maybe it would appear in print. 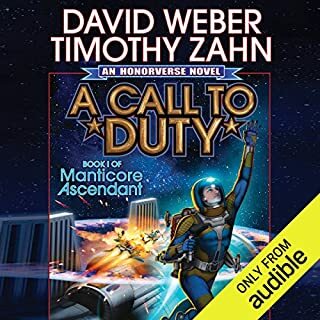 It is the standard formula for military science fiction, an ernest young man joins the military for the best of reasons and gets made over into a soldier,but with a thoughtful constraint to it. It is not a book about how soldiers are somehow better than everyone else, or how they are more terrible, but it deals with the effect of war on a man. It is oddly like a commentary on PTSD, and the difficulties soldiers have in returning to a normal world. I listened to one of the later books in this series and he had the same qualities in it. Science can make better equipped and trained soldiers, but it can not change the nature of people who fight. I read the book when I was a kid. I recently picked up one of the later books and realized I wanted to go back through the first series again, so I can be better grounded for the later books. 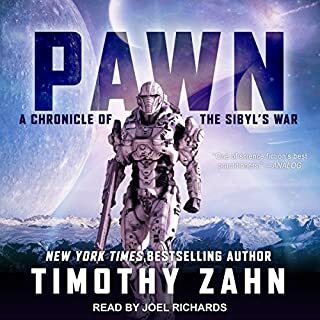 This book isn't bad to listen to. It held my atension, but it always seemed to be leading up to something action packed that never happened. It had some action but not what the name Cobra implies. 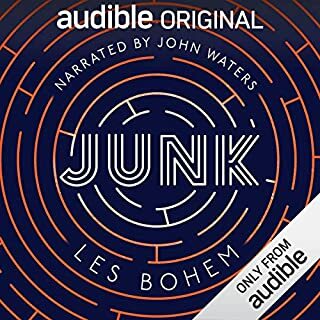 The narration is very good, thats is what kept me listening. 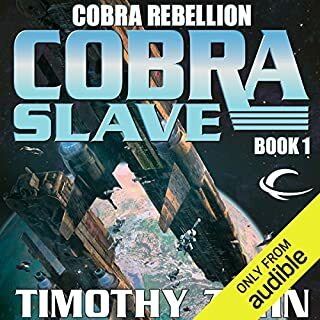 I'm just starting to listen to book 2 Cobra Strike. I hope it has more then the first book. Now don't get me wrong about this book. It's not a bad book, not by a long shot. I was just hoping for some nail biting action! Story wasn't bad just kind of thin. Hopefully laying the ground work for more depth in the future. The narrator did a superb job just as he always has. Looking forward to hearing more read by him. The book had far too many plot points that all magically resolved themselves when the main character tried. Everyone was one dimensional and bland. The reader was not my favorite either. He wasn't horrible, but most voices sound the same. I really enjoyed the authors Star Wars novels, but sadly, this wasn't them. The story seems to focus on the journey of a young man from idealistic youth to Jaded politician. Along the way, experience is the horror of war, and the long and difficult journey to maintain peace. It's not a bad story, but I could never really find myself supporting the main character. Very few secondary characters, outside of this family, seem to show up. All in all, it's not a bad story, but it's not quite as entertaining as other sci-fi epics. Great storytelling and production quality. Definitely worth checking for any sci-fi fan. I was oblivious to Cobra universe until now and I must say I missed out on a great story and not so standard approach to SCI-FI.